Enjoy this 13 oz. 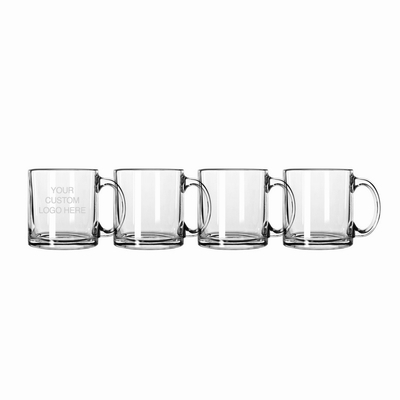 heavy glass coffee cup customized with your finely etched logo on each mug. These cups are sold as a set of four. Your Custom Logo on every Glass!